It’s here! 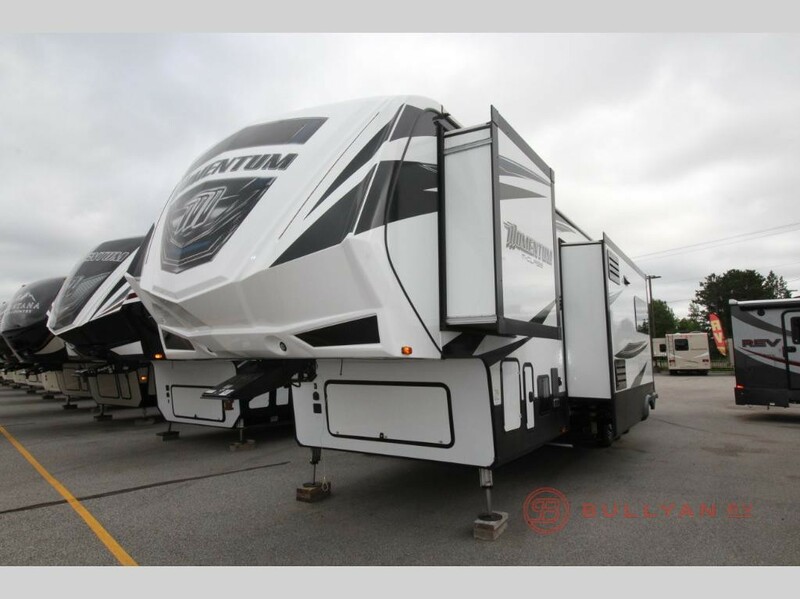 The perfect time to make the Grand Design Momentum 395M toy hauler fifth wheel for sale a part of your family. 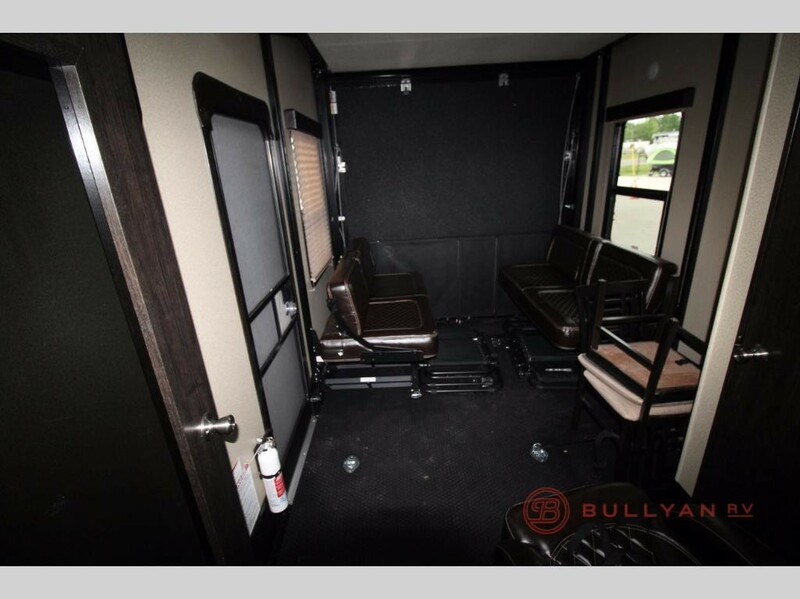 Imagine the fun you will have being able to camp AND bring along your favorite ATV. At closeout prices, you can’t go wrong when you tow the Momentum on your next vacation. 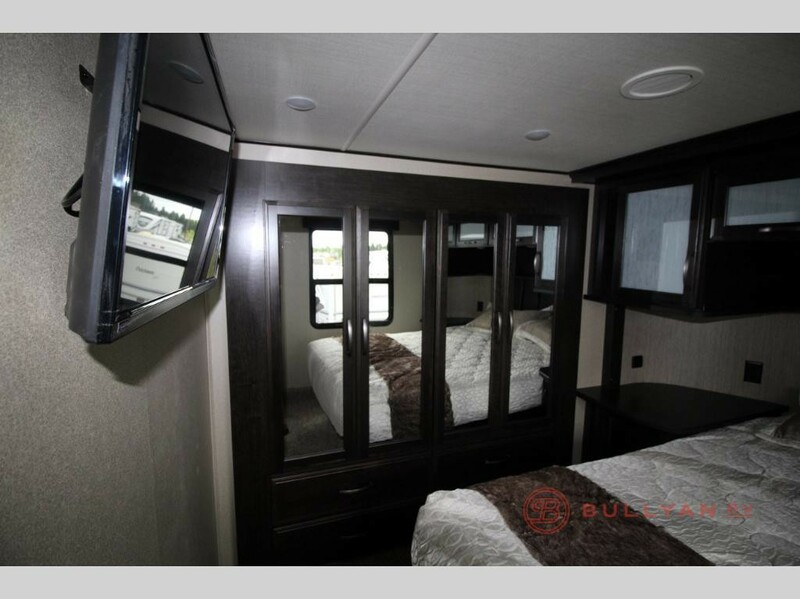 Let’s take a quick tour of all the great features you will find in this toy hauler. Check out this beauty available at closeout prices! Rear ramp door for easy loading/unloading of your toys. Overhead storage for all of your gear. Loft bed for extra sleeping room. 1/2 bath so the dirt is contained in one area. Optional Happi-Jac rollover sofas/table with top bed. Living space for you AND your toys. Large sofa in front of entertainment center. Three slides for additional foot space. Large LED tv for vegging out. Free standing dinette with chairs. Additional seating of your choice: theater seating or pull out couch. Kick back and relax after a long, muddy day. Ample overhead storage and pantry for kitchen necessities. Peninsula counter with sink for extra prep space. Get refueled in this great kitchen. 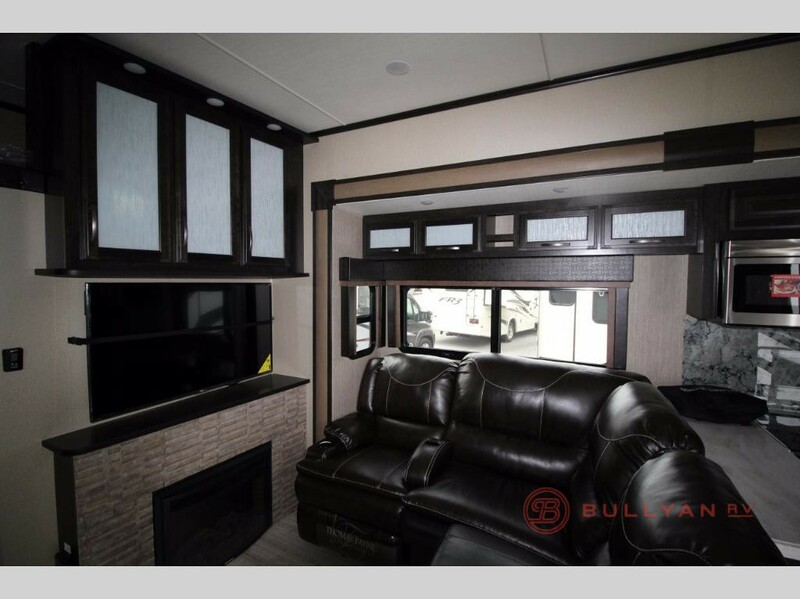 Up the stairs in the Momentum 395 toy hauler fifth wheel you will find your oasis. There is a master bathroom with a shower (and skylight! ), vanity sink, overhead cabinet for storage and a toilet. Head into the master bedroom and you will find a queen (or king if you choose) size bed with nightstands on both sides. Storage in the master includes overhead cabinets and slide out wardrobe. Relax after a long day outdoors. 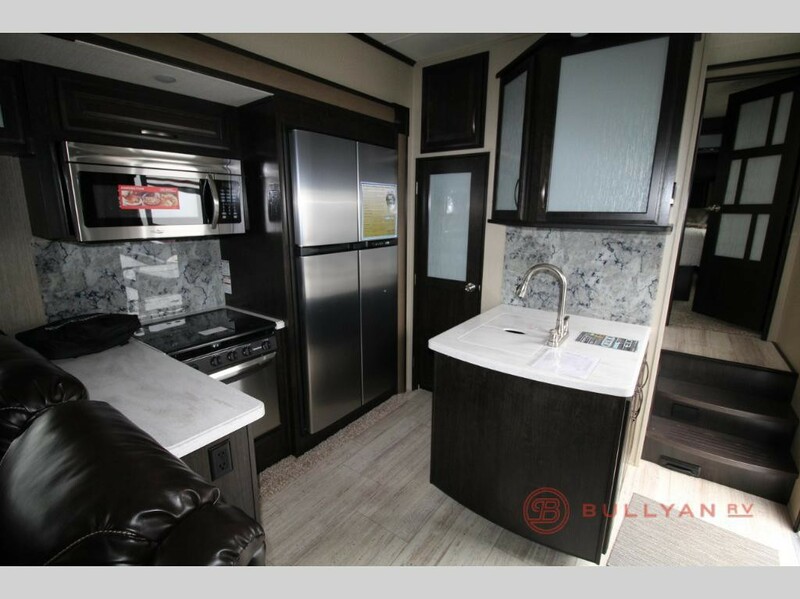 With the Grand Design Momentum 395M toy hauler fifth wheel for sale you get luxury, space, and fun all in one. With bonuses such as washer/dryer hookup and pass-through storage, you don’t have to leave anything behind…or dirty. Contact us today with any questions you might have or drive on over and our friendly staff will get you on the road to adventure!